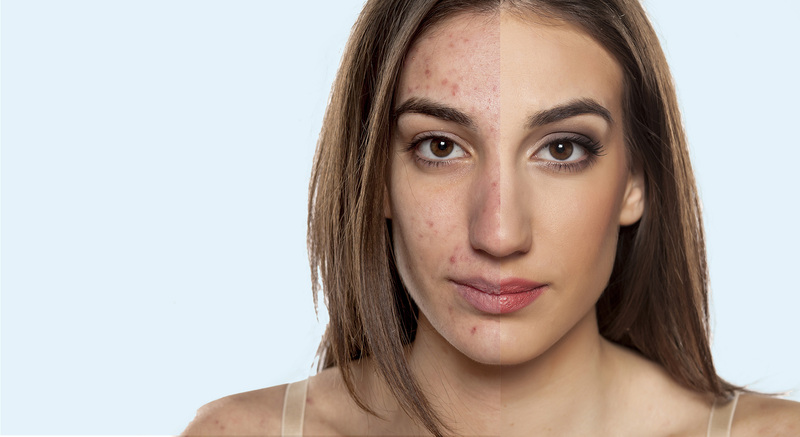 There dermatology clinic has a great experience in treating acne for a long time. 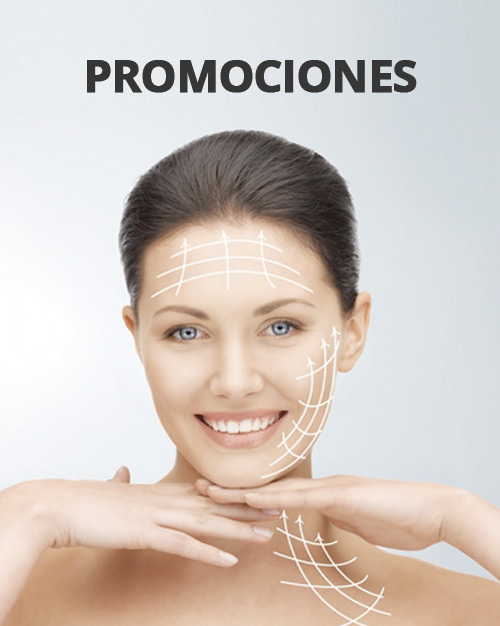 Our objective is to reduce all inflammation, restore the skin and avoid the formation of new scars. 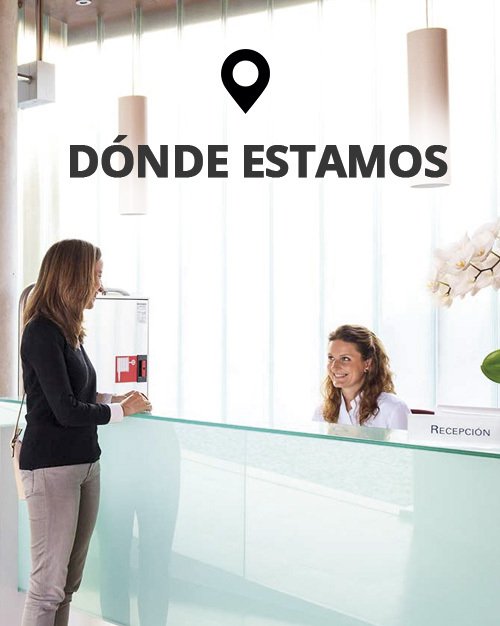 We are leaders in Barcelona in the treatment of acne with more than 600 patients treated each year. In regular facials, the skin is squeezed to extrude all the impurities. These can be very traumatic for the skin. Instead of squeezing or pressing we prefer to use negative pressure or vacuum. With this method, the blackheads and debris obstructing the gland is taken away without harming the skin. Sessions are performed ideally every 15 days for 3 months. In acne, it is very important to let the sebaceous gland produce and flow outside together with bacteria and other debris. In acne, it is very important to reduce the OBSTRUCTION to sebaceous secretion. This procedure is painless and takes about 15 min. 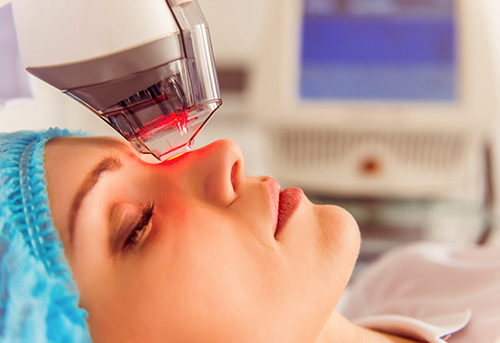 The second procedure we use for treating acne is the use of strong red and blue light also known as LOW LEVEL LASER THERAPY. This light kills bacteria and reduces the inflammation of the glands. 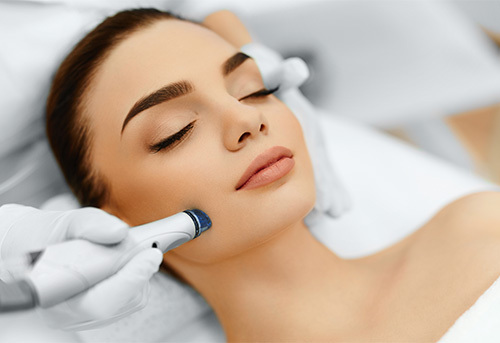 Sessions are repeated every 15 days and are usually done together with chemical peels or microdermabrasion. 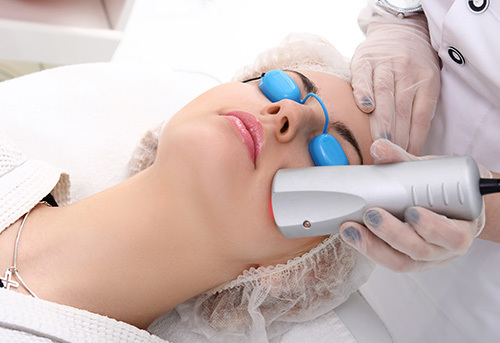 This laser is an infrared laser, heats the water and melts the sebaceous glands. 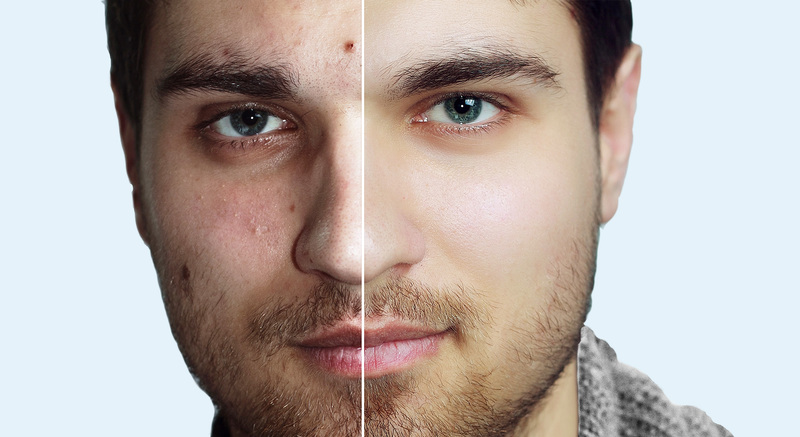 By reducing the size of the glands we improve acne and reduce the risk of recurrence in the future. Sessions take 5 to 15 minutes depending on the area treated. The face becomes red for about an hour. Some burning feeling might happen. 4 sessions are recommended, one every month.